I love most everything about being a romance author, especially the research I get to do. This so-called research ranges from studying photos of a couple holding hands (so I can better describe how their fingers intertwine) to watching rom-coms or reading romance books. When I do the latter, I get so much inspiration for my own stories on how to make them more authentic and engaging. 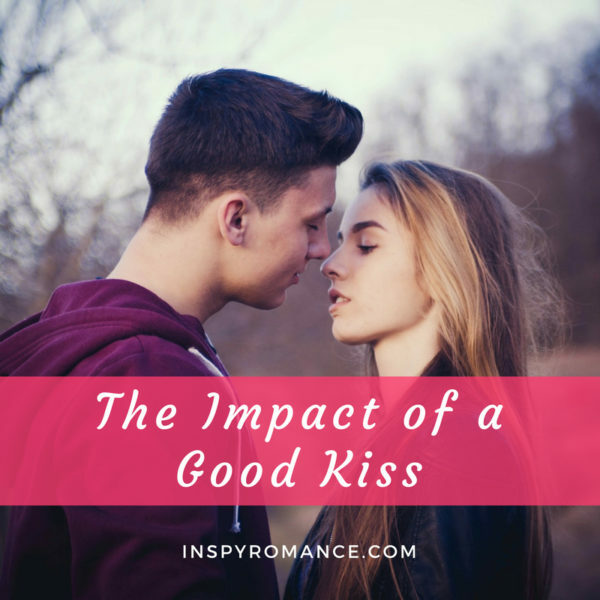 This is exactly what happened recently when I read a sweet romance book that opened my eyes to the impact of a good kiss. The author wrote the scene in such a way that I was literally on the edge of my seat, waiting for the two main characters to cross the line from friendship to something more. When the moment finally happened, it drew me in, word by word, until I realized I’d read an entire page about a kiss! Now, I don’t know about you, but most romance books I’ve read don’t spend a whole page on a kiss. Likewise, I don’t invest that much time on my kissing scenes either. I like to focus on the characters’ emotions and their internal thoughts leading up to a kiss, but not so much on the physical act of kissing. Which made me realize—sadly—that I’ve been gypping my readers from good kissing scenes! And I call myself a romance author? I knew I needed to remedy the problem—fast! So, what did I do? Research, of course! I went on YouTube and watched the kissing scenes from some of my favorite TV shows and movies. I focused my efforts on not only studying the emotions and thoughts behind a good kiss, but also the physical aspects of one. Then I dug up a kissing scene from the book I was writing and rewrote it. I added in a lot more details, amped up the emotions, and reworked it until I was sure I was giving my characters (and readers) a swoonworthy and satisfying kiss. Here’s the kissing scene that made it into my newest release, A Sudden Spark. The first half is from Brandon’s perspective; the second from Bria’s. With a gentle touch, Brandon set Seth down on the futon in the study. He adjusted the blanket and pulled it up to the sleeping boy’s chin. He whispered, “Good night,” before turning to leave. Unbeknownst to Brandon, Bria was standing right behind him. When he spun around, he bumped into her shoulder, knocking her off balance. She fell backward until he caught her around the waist and pulled her close. Their gazes connected, and it was almost like a scene from a movie. Brandon could feel her heart beating, or maybe it was his own; he couldn’t tell anymore. All he knew was that Bria was in his arms. She was so close he could see flecks of gold in her amber eyes. She was soft and warm against him, the small curves of her body melding effortlessly into his. He wondered how it would feel to hold her all night like this. How it would feel to kiss her again. He didn’t need to wonder much longer. The next thing he knew, her mouth was on his. Bria cupped Brandon’s face with her hands and drew him close. As soon as her lips touched his, Brandon responded. He claimed her mouth, tentatively at first, then with a gentle pressure as he deepened the kiss. Electricity zipped through her body, warming her straight to the core. She lost herself in their closeness, completely caught up in the moment. Too caught up to think about the consequences or even to breathe. All the longing stored up in her heart overflowed, pushing her to take a chance. To act on impulse, or maybe it was intuition. Brandon was so familiar and trustworthy, it was like her heart recognized their potential together before her mind did. And maybe she was a decade too late, but she didn’t care. He was here, she was here, and the moment was perfect. Or it was until Brandon pulled away. So, tell me, did my research pay off? What do you think of Brandon and Bria’s kiss or kissing scenes in general? Please let me know in the comments below! Also, be sure to get your copy of A Sudden Spark for only 99¢ before the price goes up next month! Giveaway: I’d like to give away a $5 Amazon gift card. One winner will be randomly chosen from the comments below. The giveaway will remain open until midnight on Sunday, August 26th. Oh Well Done, Liwen ! Cheers to your research – def a fun assignment ! Hi Liwen! 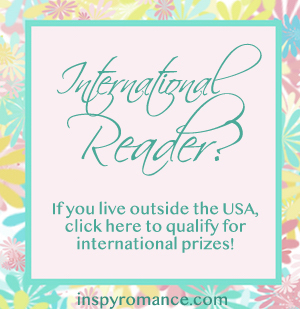 Inspy Romance has had some interesting behind the scenes of a writer blogs this week. Once again as a reader, KISSES, tension, descriptive passages depends on the story and the mood of the reader, especially this retiree. If I am trying to sneak in some reading while watching my 4 grandkids, I often skim descriptive passages to find the HEA. Your kiss was well researched and well written, so the reader can visualize the KISS. Maybe because I watch the Hallmark channel 24/7 and their romance movies usually ends in a kiss (most unique and different) – I have done my research. Thanks for sharing. Enjoyed reading your romance Puppy Dog Tales this week. Best wishes and Happy Writing. Hi Renate! I know, I was surprised to see Elizabeth’s post yesterday and its similar theme. Wow, I don’t know how you manage to sneak in your reading time with 4 small ones, but it must be a nice break for you. Thanks for reading Puppy Dog Tales! I haven’t read Brandan and Bria’s story/kiss…yet! I have to ask, what book has the amazing kissing scene that you talked about? For me, it really depends on how they are done. If it feels uncomfortable and forced, I don’t enjoy it but when it makes you feel breathless and your heart races, that is so much fun! Hi Katie! Oh yes, the book is Judy Corry’s “Meet Me There”. She writes clean and sweet YA romance. Yup, natural kisses are the best! Your research paid off. But shouldn’t the best research have been actually kissing??? Wow! Yes, your research paid off! Sparky kiss! I tend to read part of a kissing scene and then skim down to the end of it. Sorry! I enjoyed the sequence leading up to it. As someone above mentioned, I thought maybe you’d do some actual research with your husband :-) I thought you did real well on the scene. Great excerpt and great topic. When you’ve written countless kissing scenes, it’s easy to become mundane about it. You made me think about my next on paper kiss. Hi Shannon! Yes, I totally get what you’re saying! It’s a challenge to make what we write about so often different and unique. I hope you have fun writing your next kissing scene! Makaes me want to read the book soon. Hi Connie! Oh yay, that was the plan. ;) It’s 99¢ through the end of the month! Yes, I think your research paid off! I love your books! oh sigh. what a wonderful scene. i have had some really “different” kisses, one made me feel like i was kissing one of my brothers, ugghh. until i met my husband. he made me feel like above and 35 years later still does. I do love books that have the lady and man find that one perfect person who literally rocks there boat. Hi Lori! Oh my, it sounds like you found a swoonworthy kind of love. :) Congrats on 35 years! Not that I havent read those, they just dont come to mind. But now that I´ve read your scene, I realized I actually enjoy reading them, though they are still not my reason to read/most memorable scenes I remember. That’s neat! I like hearing it from the reader and author perspectives! Hi Emily! Yes, it’s neat to hear all these perspectives! Your research certainly paid off, I enjoyed reading the scene. I think you’ve got both the characters’ emotions and physical act of kissing, which is what I think makes a scene great. Hi Laura! Thanks for your feedback! I think I had the emotional part of it down; just needed to work on the physical. Liwen, I loved it! Your post reminds me not to take those moments for granted. It’s easy to become complacent but you reminded me we are romance authors. We need to write quality romantic scenes. And you did! Hi Julie! Aww, wow, that’s a great compliment coming from another romance author. Thanks! That was certainly swoony! I guess you learned something! Thanks, it looks very promising! Wow, you’re research paid off, that was one of the best kissing scenes I’ve ever read. Great researching. A good kiss is always welcome in a story. Hi Mary! Yes, for sure. I think I enjoy writing kisses more now. Great research; great post! Thanks for your giveaway! Hi Jackie! Thanks so much for reading and commenting! can’t wait to read the results of your research. I like a good kissing scene but it’s got to be realistic. Thanks for providing an excerpt. I think your research paid off. Hi Arletta! Oh, for sure! Even though fiction isn’t real, I like for the romance stories I read to be somewhat realistic. Thanks for reading and commenting! OMG! This is spine-tingling! I have to check this thoroughly, it is amazing. Hi Irma! Oh wow, spine-tingling? So glad you enjoyed the kiss! Thanks for reading and commenting! Thank you so much yes I think your research paid off! Hi Sarah! Yay, good to know! :) Thanks so much! It’s a wonderful kissing scene. I think reading all the pages beforehand will allow it to have more impact for me because the build-up to the kiss makes it so much more amazing. Hopefully, I’ll check out A Sudden Spark soon. Yes ,your research paid off in some good books!